It's time for another gift guide! I'm doing a gift guide for moms. I love Philosophy's Amazing Grace. It smells so good! It's a great light scent. Slippers are always a good idea! 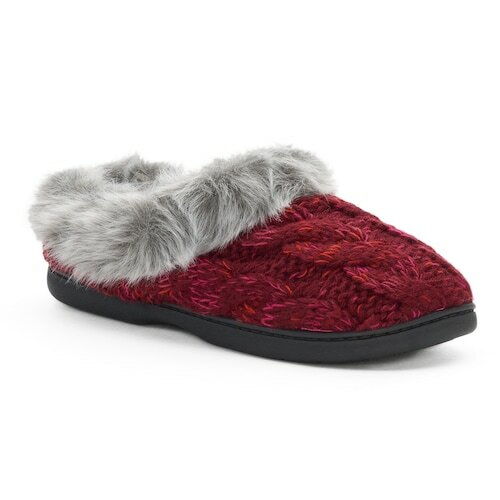 This pair is comfortable and only $20.99! You can never have too many blankets! This blanket is so soft and comes in a lot of colors and patterns. This necklace is one of a kind! My sister and her mother-in-law make beautiful, unique jewelry and this is one of their pieces. You can personalize it with any photo! This is an example of our grandparents' wedding photo. I had a pendent like this on my wedding bouquet. I had each set of grandparents and it is such a great keepsake!. You could do kids' photos or a wedding photo, anything. This is something that will be cherished forever and would make a great gift! Candles are always a great gift idea. This one is from the Magnolia Hearth and Hand line and smells really good! Lastly, an oil diffuser is a great gift idea. I love using essential oils and so does my mom. I love having it going during the day or at night time. This is a great gift idea with maybe a few oils to go with it. I hope you enjoyed this gift guide for moms. I tried to think of things my mom would like and would be great for any mom.